When you imagine finding a partner, do you really know what you’re looking for? Do you sometimes feel stuck or frustrated by not having your needs met or by not even knowing what they are in the first place?! Goddess Acumen aims to help women to connect with different aspects of their femininity in order to find more clarity, balance, and focus. Goddess Acumen is all about understanding, exploring and balancing the different aspects of our femininity through the mythology of six Greek Goddesses. Each of these Goddess energies resides within us and combines in a way that is unique to the individual. By helping each aspect to thrive, we thrive ourselves. Each Goddess has a different style of loving, different desires, and a different way of relating to her man. So if our Goddess energies aren’t fixed then this means that the way we relate to men may also shift and change… (I’m pretty sure no one will be shocked by that idea!). The question is, which Goddess is ruling your love life right now and what does she need? Are you looking for a meeting of minds? Someone who can match you and tackle the world head on - a comrade in arms? Someone who respects your independence and helps you to succeed in the world of work? Well, this is the Athena in you – the Goddess concerned with career, social progress, and the intellect. In her men, an Athena woman will seek out someone who can stimulate her mind, sometimes at the neglect of (ahem) stimulating her body. Finding balance will mean letting in some romance and sensuality… but never at the expense of a beautiful mind. Do you like to bring out both the macho and softer side of your man in equal measure? Do you lead with your heart? Do you thrive on the emotion and sensuality of relationships? Well helloooo Aphrodite - goddess of love, beauty, sexuality and pleasure. Your sensuality is intoxicating but your willingness to give away your heart can lead to pain when your lover backs away from building something more lasting. Finding balance for Aphrodite means to embrace the aspects of life that are less about seeking pleasure and more about constructing a solid partnership (Aphrodites out there probably want to yawn right about now!). Do you really look after and nurture the people you love? Deep down, are you looking for a provider? Is home and family where you truly feel at peace? This is the Demeter in you, the earth mother and nurturer. You make a great partner because you are so good at looking after people and making them feel your love. However, sometimes you can be more like a mother than a partner, or focus too much on your home and family at the expense of other aspects of life. Finding balance for Demeter means to allow yourself to step out of this caring role and embrace aspects of true partnership with your chosen man – cultivate a friendship and a sense of adventure outside of the home. Do you sometimes prefer solitude? Would you rather be traipsing through the wilderness with your man than getting to know his heart and mind? Do you want someone who matches your sense of independence and freedom? If you’re feeling the call of the wild, this is Artemis - the lone huntress, at one with nature, and sometimes disconnected from relationships and people. Woes betide any man in your life who does not treat you as an equal. In fact, you’re not really one for putting up with any vanity or nonsense and so will choose the most down-to-earth man you can find. Finding balance for Artemis means allowing yourself to soften a little and let people in. Do you know how to get people to listen and do as you say? Are you always pushing those around you to be the best? Do you like men with influence and power? If you are answering yes then you probably already know that you are channelling the Queenly Goddess of power, influence and social prestige – Hera. You want a man who can offer you the kind of social position and community that you crave. Time wasters and drifters need not apply. You want to see your family achieve and expand, creating a strong structure around you – with you at the heart of it. Finding balance for Hera means to take the focus off the community and structures surrounding you and instead to focus on relating to your partner from the heart. Are you looking for someone sensitive and aware? Is love for you something mystical, beyond just two individuals? Do you want someone who will help to expand your soul? Soul searching is the realm of Persephone, Goddess of the underworld, the mystical and the departed. Persephone’s sensitivity and depth can mean that you have problems with boundaries and you may find yourself getting too enmeshed with your partner. You could also be attracted to broken souls and may subject yourself to a lot of pain as you try to bring out the best in a man who may simply not be capable. Finding balance for Persephone will mean to learn to separate both yourself and your feelings from those of your partner (or desired partner) – to encourage individuality within the relationship. 1. BALANCE. It’s been mentioned plenty of times throughout this post – the best way for love to thrive is to keep an eye on each of these energies and work towards finding balance. 3. GROWTH. Choose a partner who is curious and up for working at a relationship. As these energies shift and change, you want a partner who is up for the adventure! Many women who come to me want to make positive changes in their lives, are going through transitions, or wish to release old ‘stuff’ that no longer serves them. I help them to find a greater sense of freedom, purpose and balance. Please get in touch if you would like to discover tapping – a remarkably effective technique for releasing negative thoughts, beliefs and emotions – and unleash your Inner Goddess. 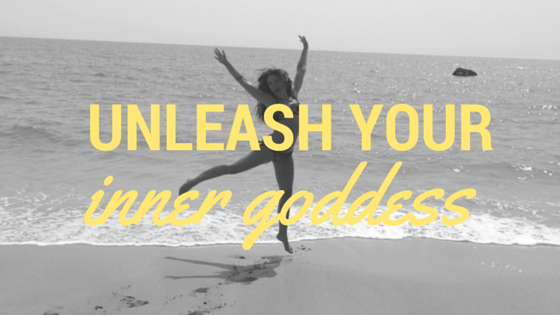 If you mention Project Love, I will give you 25% off a Goddess Discovery Session.